While our jewelry is carefully crafted to last for generations, it still requires care in wear, in cleaning and in the way it is stored. Your jewelry should always be stored in the same safe place so you can find it easily and wear it frequently. 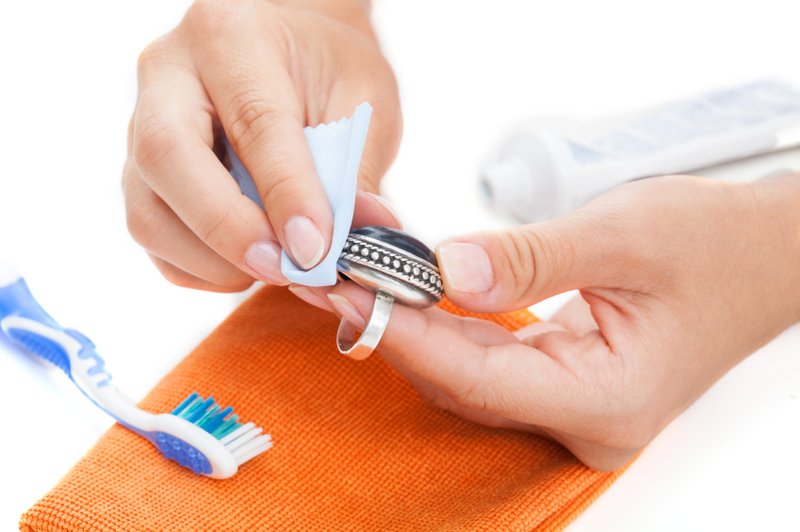 Never leave jewelry on the kitchen windowsill or bathroom sink. Always close necklaces and chains after wearing so they don't become tangled. And don't wear your fine jewelry when doing laundry, cleaning house or going to the gym. Ask to see our beautiful and functional wooden and leather jewelry boxes which come in different sizes to fit your needs. If you store your infrequently worn treasures in a vault, we can show you jewelry carriers and soft storage rolls that will protect them. The best way to keep your fine jewelry clean and sparkling is to take it off when showering or using skin care products. To keep it looking its best, we recommend that you come in and let us clean it professionally. At Wallach Jewelry Designs, ultrasonic cleaning and steaming are always done at no charge. Ask us about purchasing jewelry cleaning products for home use.